The expansion highlights the final battle on Ravnica. Planeswalkers are playing a major role in the newest Magic: The Gathering expansion, War of the Spark. Releasing on MTG Arena at the end of April and in card form during May, the expansion highlights the final battle on Ravnica. It’ll contain old gods and 36 planeswalkers with rarities from uncommon to mythic. 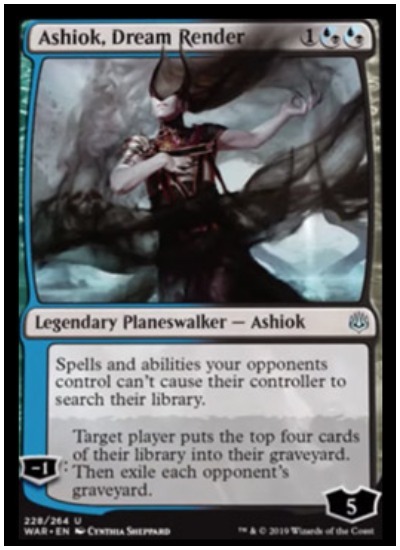 Ashiok, Dream Render is a legendary uncommon planeswalker with a three mana (two blue/black hybrid) cost. Ashiok comes onto the battlefield with five loyalty counters and a mean static ability. “Spells and abilities your opponent’s control can’t cause their controller to search their library,” the card reads. While not devastating, many MTG decks rely on cards for mana acceleration. Ashiok also has a minus one counter, which forces a target player to put the top four cards of their library in the graveyard. Then it exiles every card in an opponent’s graveyard. Ashiok’s minus one ability won’t be too big of a deal in Limited (Draft and Sealed), but it will shake things up in Standard and Modern. For an uncommon planeswalker, Ashiok, Dream Render is on the OP side, especially with a three mana hybrid blue/black mana cost. An interesting aspect of Ashiok’s minus one ability, however, is a player can target themselves when putting cards into the graveyard while still exiling the opponent’s graveyard. When playing a mirror deck, it’ll be interesting to see how this strategy plays out. 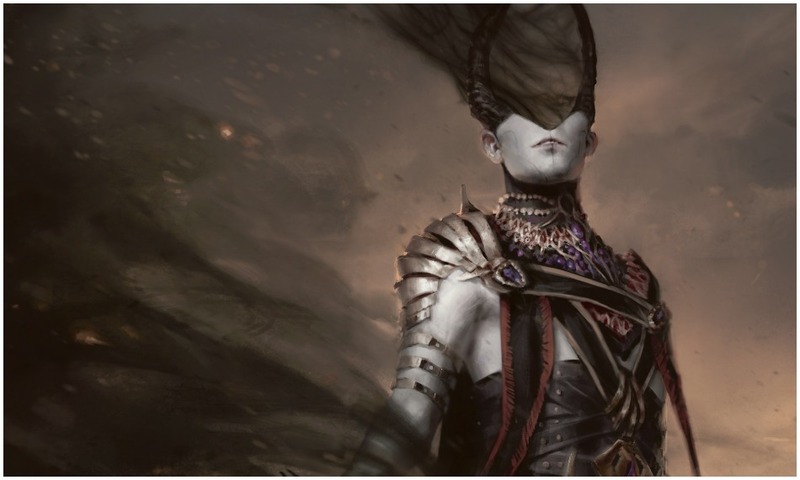 The planeswalker Ashiok, Dream Render and 35 others will be available in MTG Arena on April 27. Cards are available starting May 3.